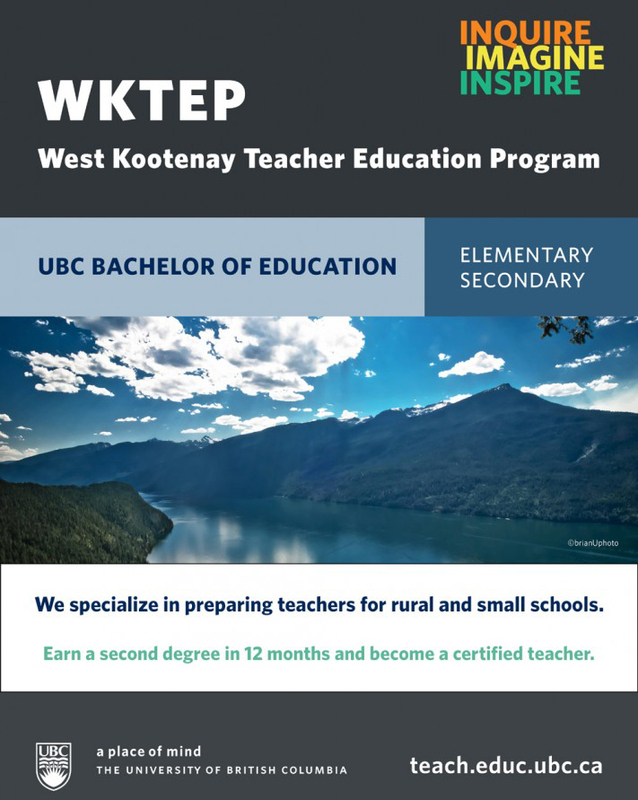 Now located mainly within schools within 5 districts in south and south-eastern British Columbia, the West Kootenay Teacher Education Program (WKTEP) is accepting applications for a 12-month option in both the Elementary and Secondary Bachelor of Education programs, consisting of the full complement of UBC’s BEd coursework, field experiences, and practica. For more information from the UBC teacher education web site, click HERE. And from the WKTEP blog, click HERE.